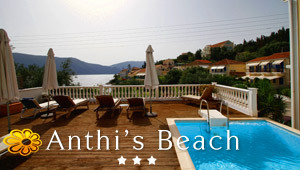 Welcome to our section of Restaurants in Skala Beach, Kefalonia. You will find bellow a list of all our Restaurants in Skala Beach, Kefalonia. Avra restaurant is located in the beautiful coastal area of Skala. The restaurant opens out to the sea to create a lovely setting for the visitors. The neat dishes, the seafood specialties and the vegetarian salads cover the extensive menu.